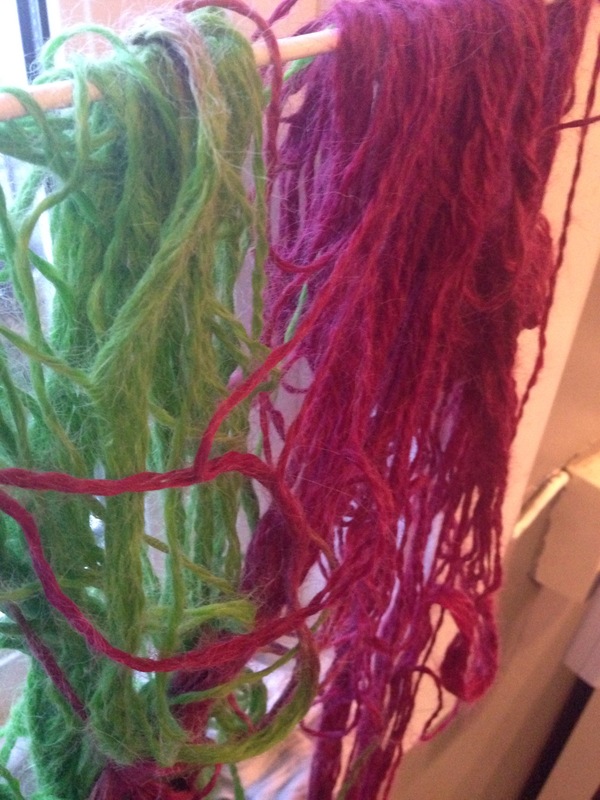 I tried my hand at dyeing yarn with Wilton’s gel food coloring recently. I tried two methods, one on the stovetop and one in the microwave. 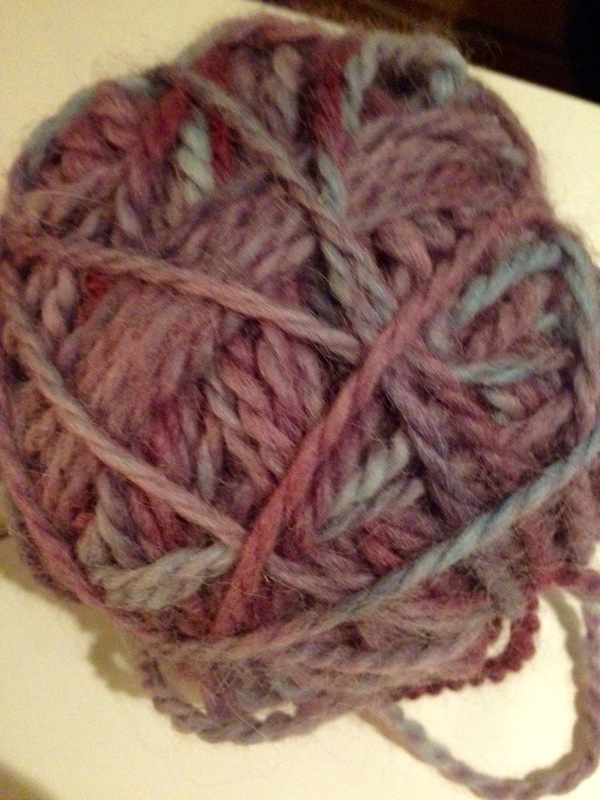 The (100% wool) yarn I started with was fluffy. After being in a water bath with vinegar, it was no longer fluffy. But it took color really well, and quickly. The one in the microwave ended up purplish, which was logical since I used the violet food coloring. I found that (as I suspected) my microwave is less than optimal, and it took several more minutes in the microwave on high than in the original instructions. 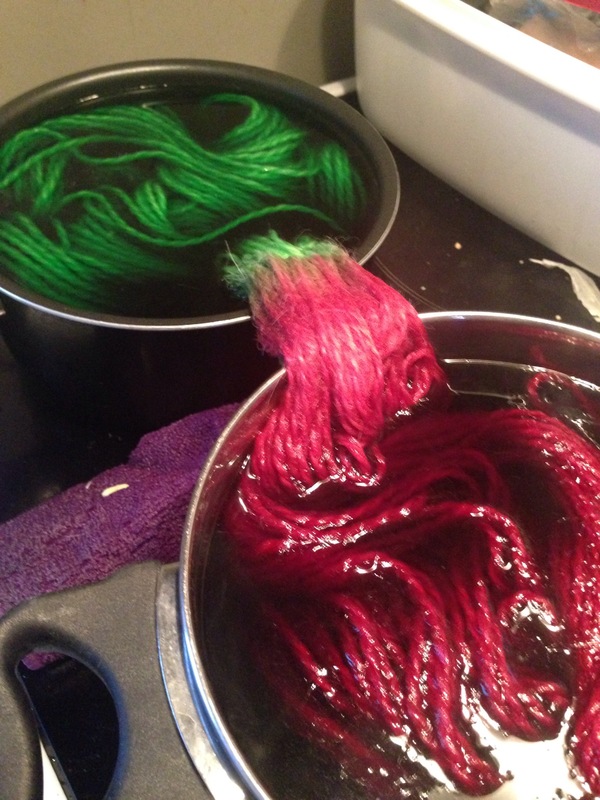 The one on the stovetop, I actually used two pots with different colors to get a more fancy yarn. Burgundy and green. (Suitable for the Christmas period, no?) 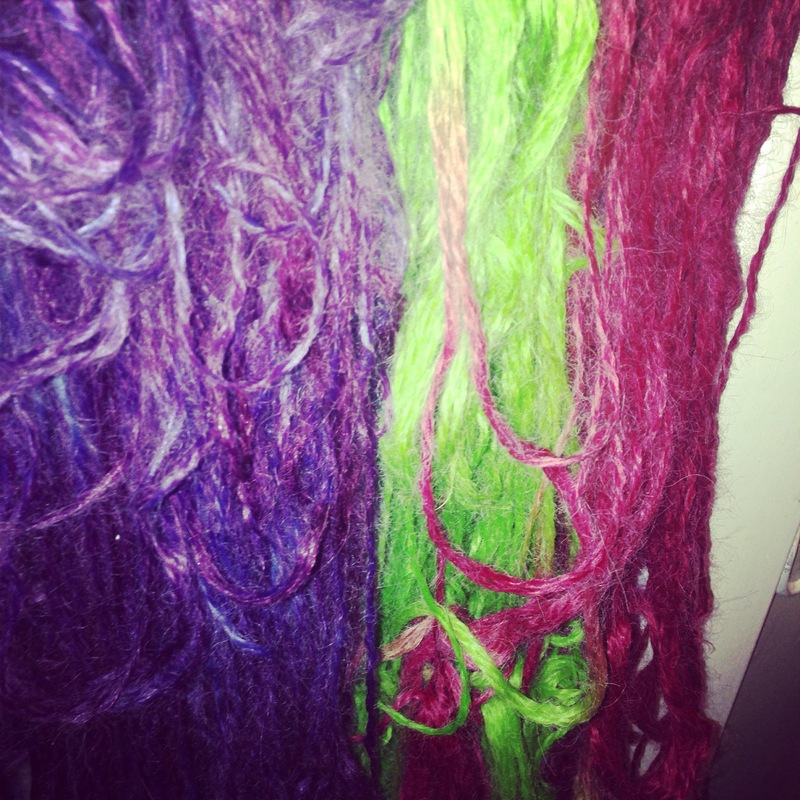 The two pots meant that yarn hung between the pots, so it ended up dripping quite a lot on the stove. If I only had used one color on the stovetop, there would hardly have been any difference. Now, the stovetop was messier. But time-wise the microwave was preferable to the stovetop. 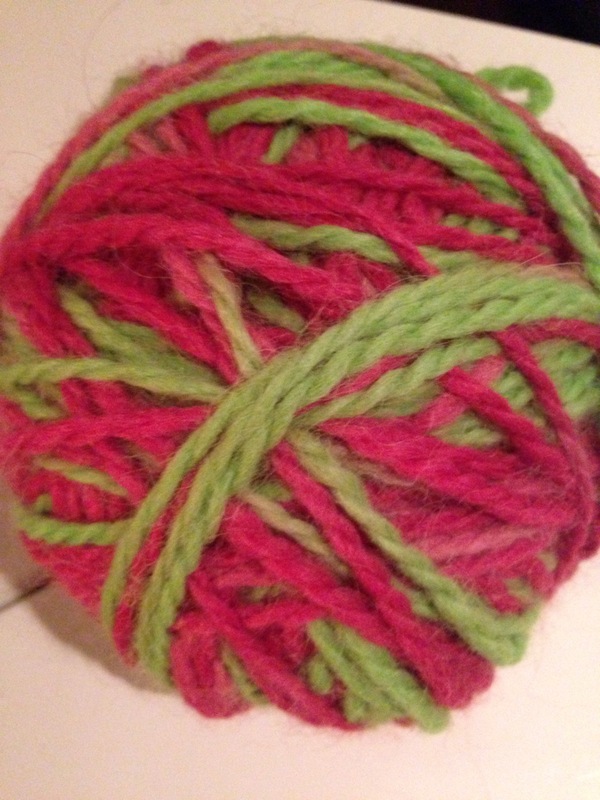 I have been knitting a lot lately.